Dogs differ - along with their health needs as they grow. That's we customized each of our 9 daily health supplements by size and stage. 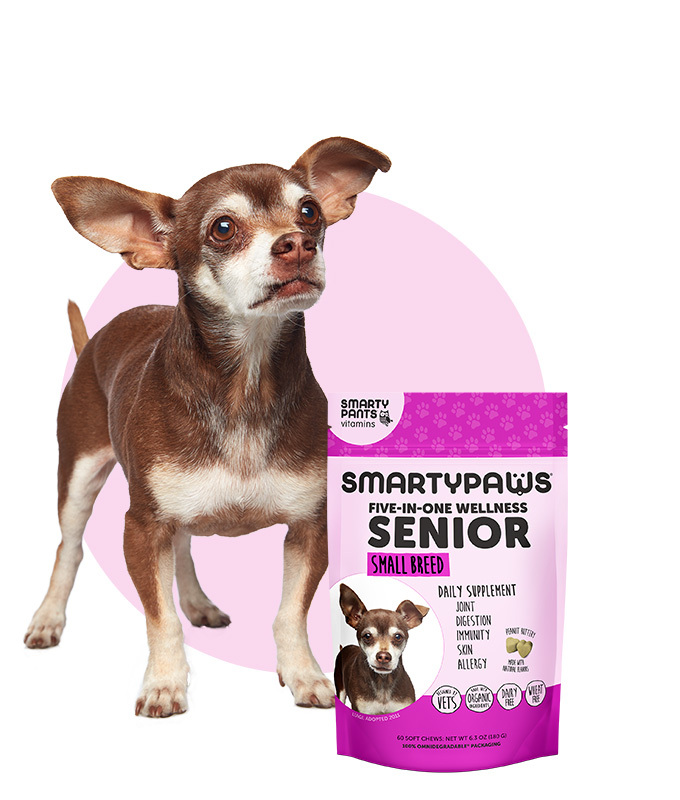 Our health supplements were created by some of the top minds in veterinary medicine to help your dog live a happy and healthy life. 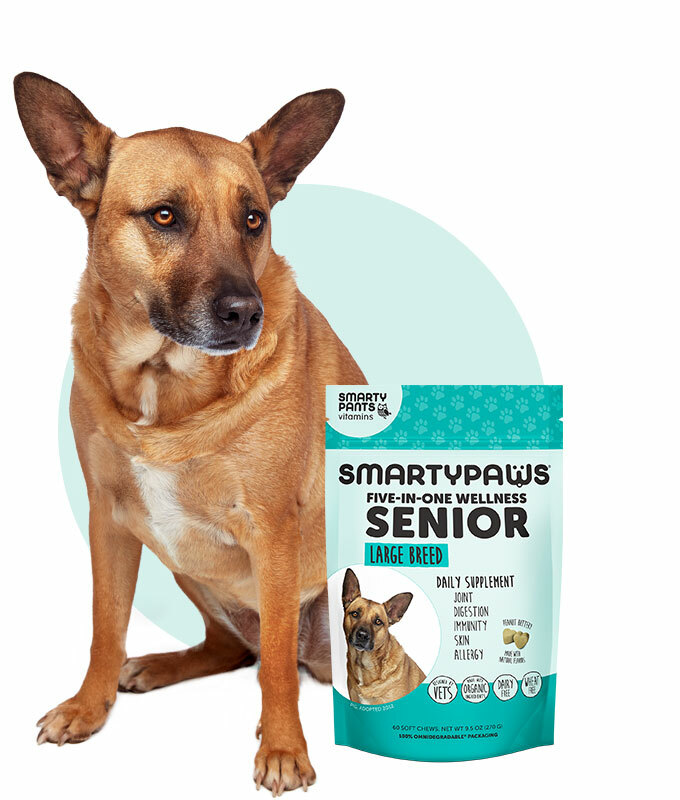 From games of fetch to those slobbery kisses, SmartyPaws support joint, gut, immune, urinary tract, skin and allergy health - all in 1 easy serving. For the best in pet health, we include glucosamine, chondroitin, MSM and omega-3s from fish oil and organic chia seeds and alfalfa. 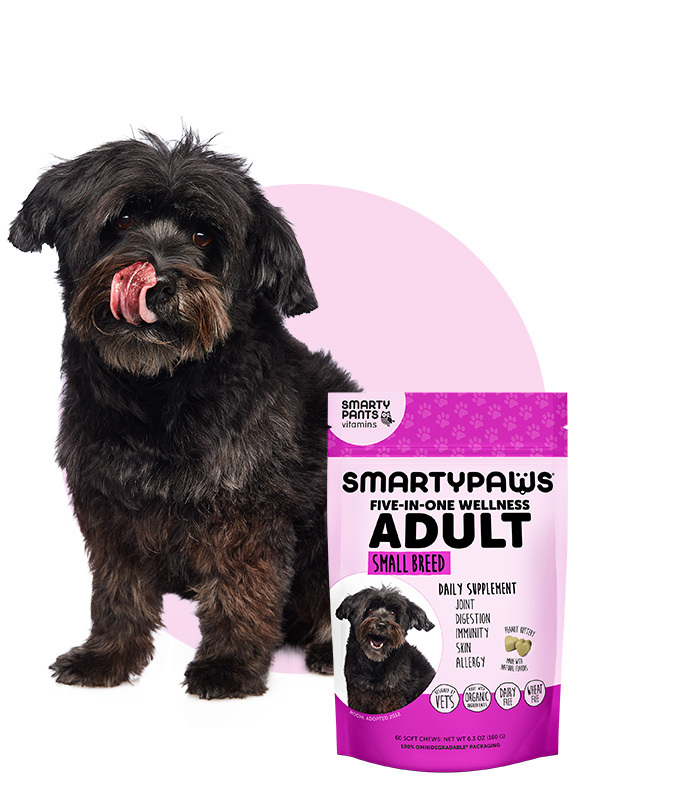 Select the SmartyPaws that's right for your dog. Because there’s more to life than sit and stay. 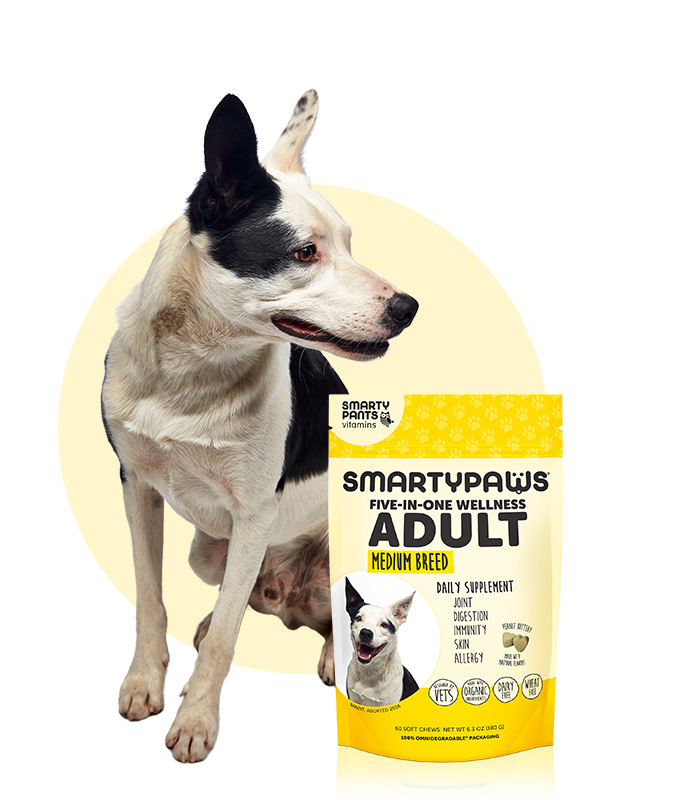 Help support your dog’s joint health with our ultimate blend of Glucosamine,* Chondroitin,* Bromelain, Green-Lipped Mussel, MSM and Omega-3 EPA and DHA (fatty acids) from Fish Oil. These superstar ingredients were carefully-selected by veterinarians to be a hip and joint supplement for dogs. They help maintain cartilage, connective tissue and healthy bone and joint function. 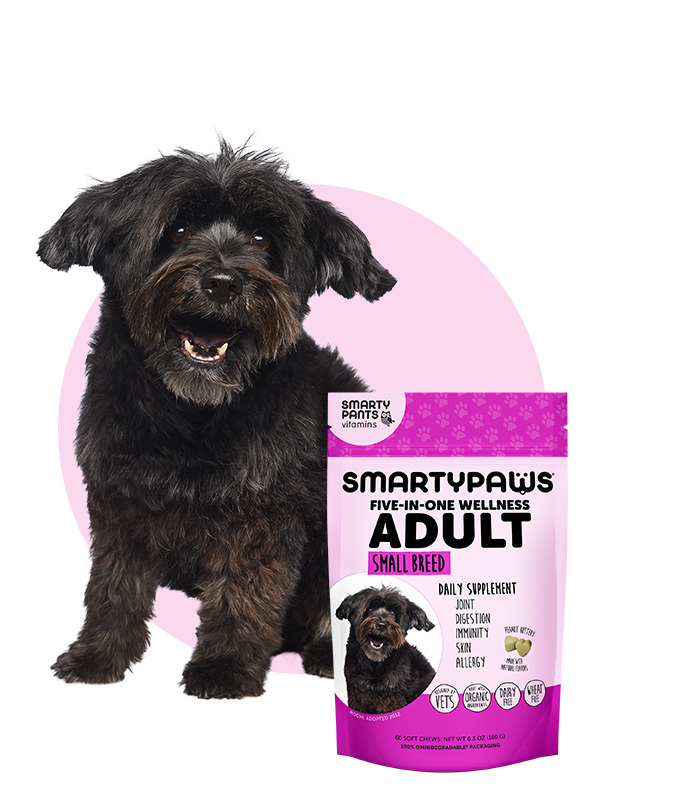 Along with supporting structural integrity, these ingredients deliver comfort for you dog by easing joint stiffness due to normal daily exercise and activity. 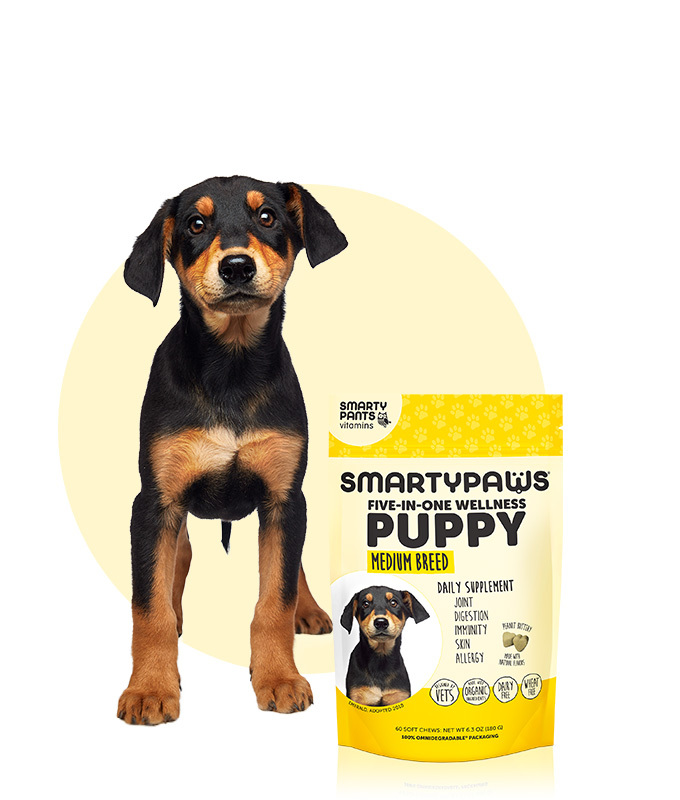 * Glucosamine and Chondroitin are not included in our Small Breed Puppy formula. We include Green-Lipped Mussel, Probiotics (Bacillus coagulans), Organic Turmeric and Omega-3 EPA and DHA (fatty acids) from Fish Oil to support their gut and immune health. 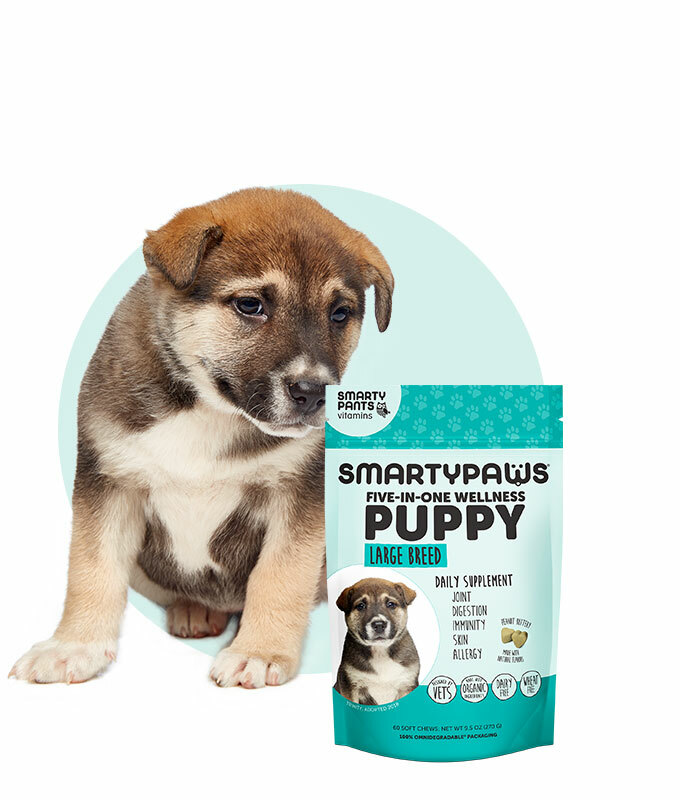 Plus, we include Probiotics with a 95% survivability rate to ensure the majority of these good bugs reach your dog’s gut alive where they can support immune health. Is that special someone starting to get the sniffles? 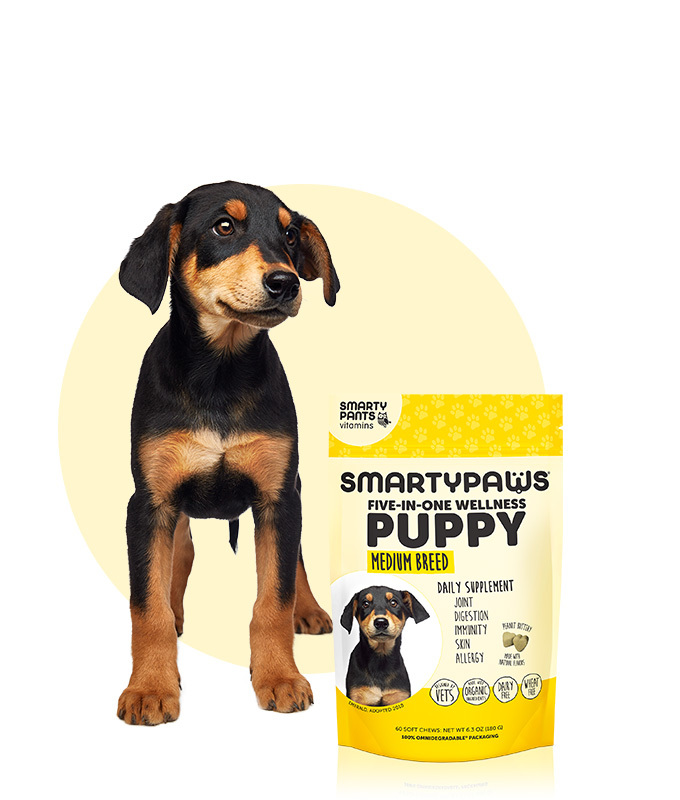 Our formulas help support dogs with seasonal and environmental allergies with Omega-3 EPA and DHA (fatty acids) from Fish Oil and Organic Turmeric. Turmeric is well-known for its many health benefits, especially when it comes to inflammation. 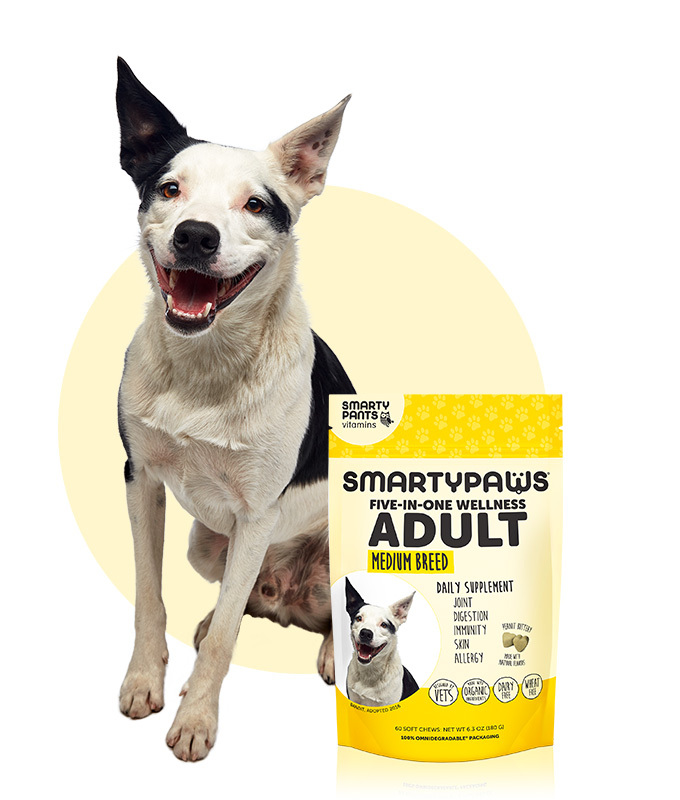 We include Organic Turmeric along with Omega-3 EPA and DHA to help your dog maintain a normal inflammatory response and provide support for occasional discomfort associated with allergies. Does your precious pup have sensitive skin? 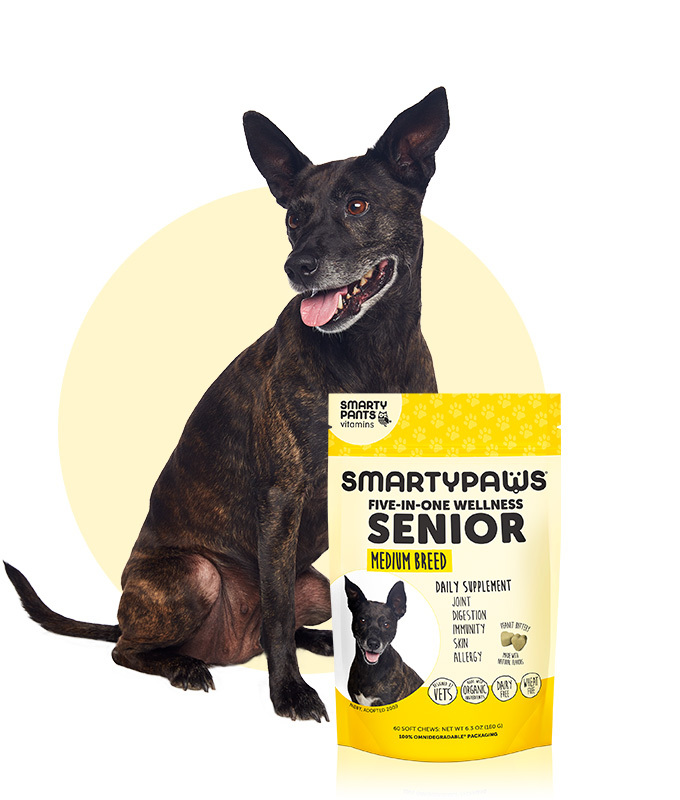 Help pamper your pooch with the power of mighty omega-3 fatty acids. We include Omega-3 EPA and DHA from Fish Oil and Omega-3 ALA from Organic Chia Seeds and Organic Alfalfa to promote healthy skin. Fatty acids help maintain skin moisture and support dogs with sensitive skin. They're also vital to their everyday health, strong muscles and healthy joints. 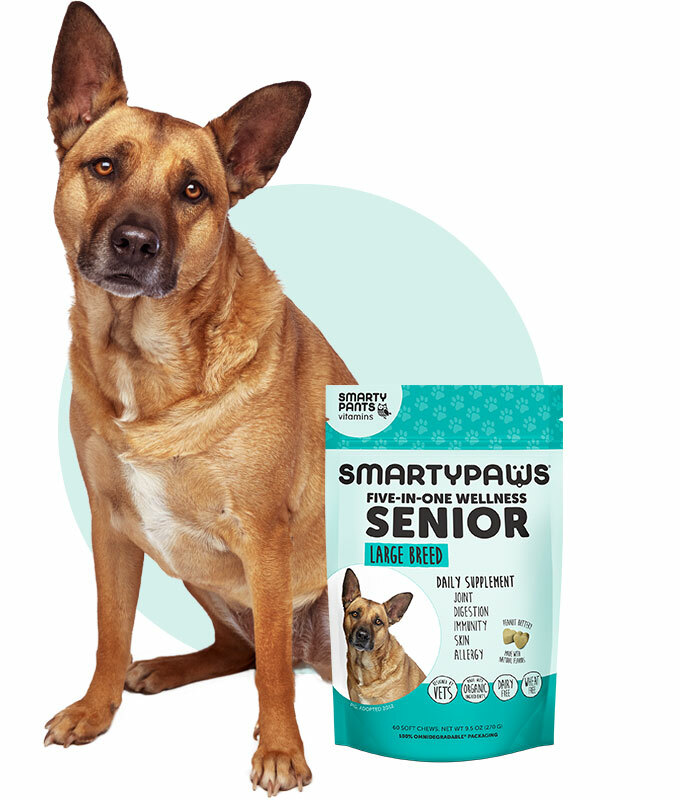 Because we want your canine cohabitant look and feel their best at every age. Ok, so maybe we can’t help with removing that sketchy stain on the carpet. 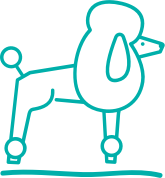 But when it comes to your dog’s urinary tract health, we’re on it. Cranberries are well-known for helping with urinary tract health in humans. 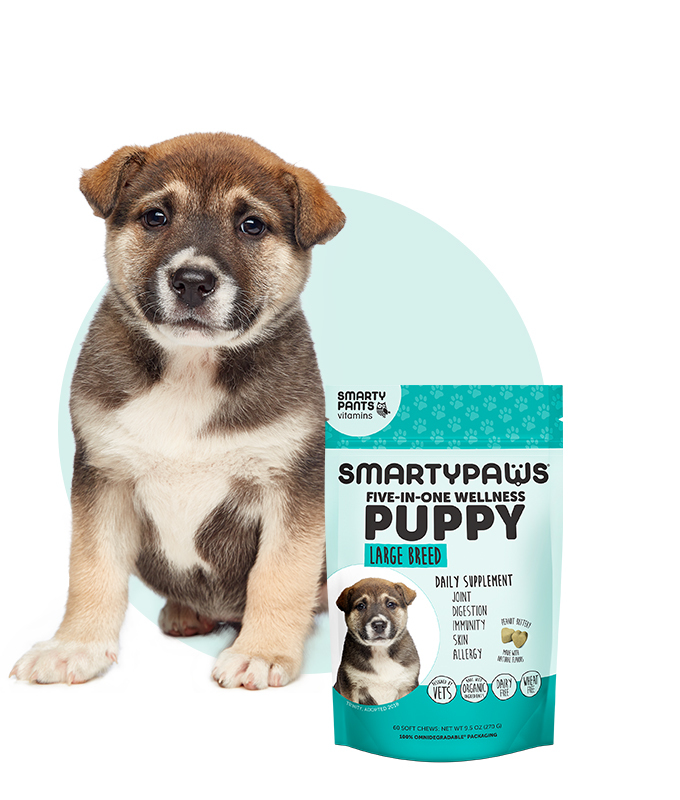 They can help your pup too! We want to make the world a better place for all animals - furry, feathered, shelled, scaled, slimy, or otherwise. So, we’re a proud supporter of the Humane Society of the United States and make a donation for every product sold. 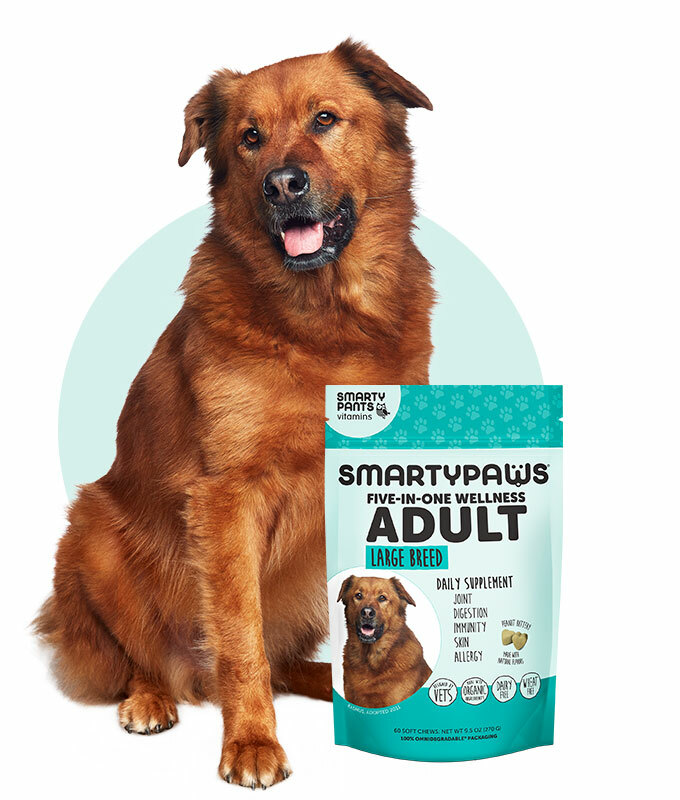 We are excited to incorporate this product into our rescue dogs’ routine. 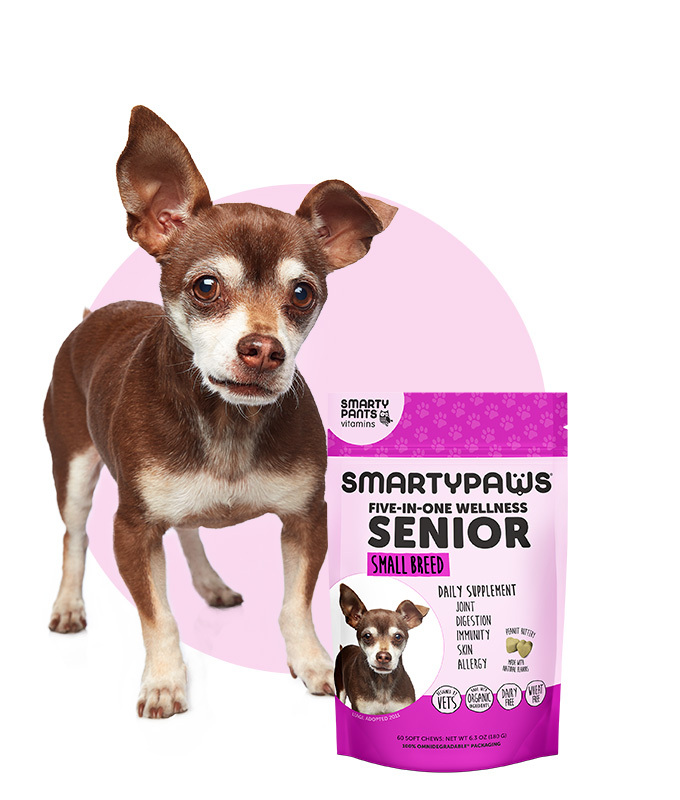 They usually have had a rough start in life, and the added healthy ingredients in this one-a-day supplement will give them the extra help they need on their path to health. We love our dogs like family and always want to make sure we’re taking the best care of them. 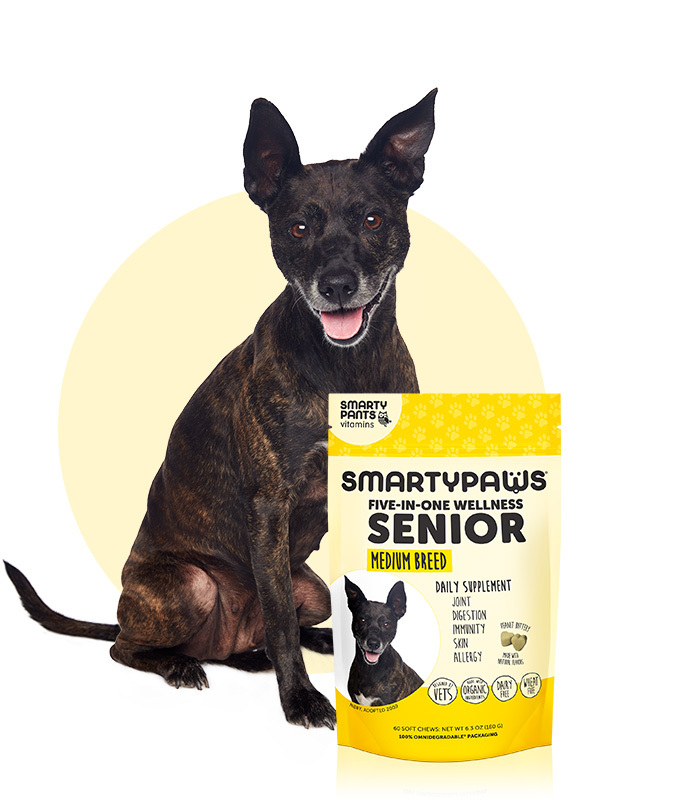 The SmartyPaws supplements have helped me to be the best dog parent, and ensure their overall health needs are being met! 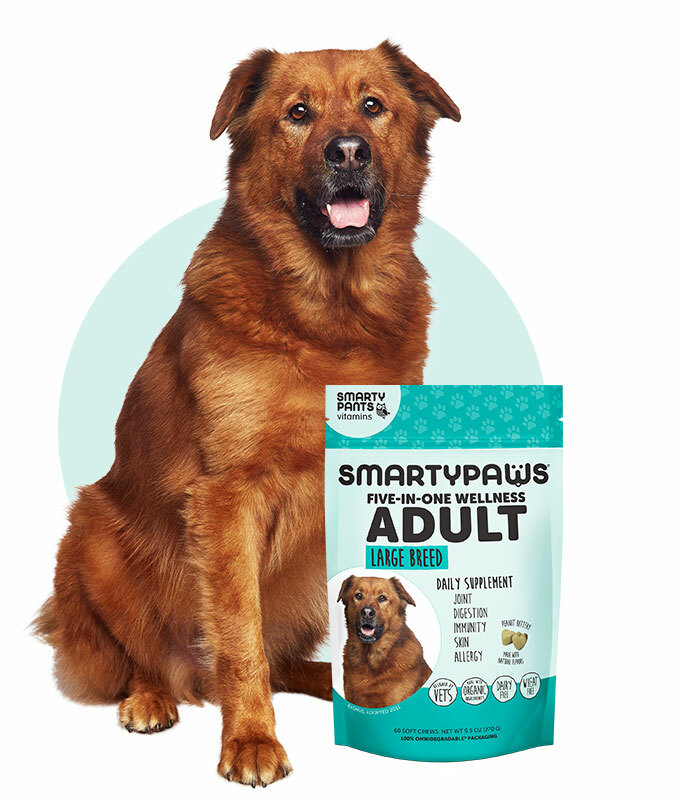 I really like the idea of a canine all-in-one supplement being made from a company that has a great reputation for making human vitamins. Both the high quality and type of ingredients in this supplement sets it apart from the other products on the market. I have no issues with recommending this for all of my healthy patients.